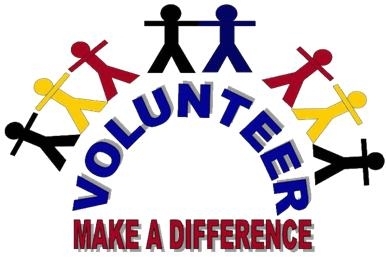 Below are listed volunteer opportunities for people looking to Make a Difference in our children’s lives! Details: Coach in a travel parochial league for grades 5 through 8. Candidate must have coaching qualifications and experience. They must be available for practices & games, played in weekday evenings, and for weekend games. League runs from October – Easter. STA currently has teams for 5th/6th Boys, 7th/8th Boys and 7th/8th Girls. Many people have asked about leagues for younger students. We would welcome anyone with an interest in coaching 5th/6th Girls, 3rd/4th Boys and 3rd/4th Girls to let the Board know of your interest. Details: Coach baseball in a travel 50/70 and/or 60/90 parochial league for grades 5 through 8 must have coaching qualifications and experience and be available for games played in late afternoon during the week and possible weekend games. League runs from March – May. Details: Coach soccer in a travel parochial league for grades 5 through 8 must have coaching qualifications and experience and be available for games played in late afternoon during the week and possible weekend games. League runs from Sept – Nov. Details: Coach track in a travel parochial league for grades K through 8. Must have coaching qualifications and experience and be available for meets played in late afternoon during the week and possible weekend meets. League runs from Mar – Jun. Details: – responsibilities likely to include preparing a sports newsletter for teachers, students and parents, weekly write ups on the events for students to read during morning announcements. If you are interested in any of the above positions or don’t see a sport or position on this list of volunteers, please feel free to contact the Athletic Director to discuss.